Yes, shrubs are a category of plant, but as of late, they are also a very trendy drink. Shrubs are also called fruit shrubs, drinking vinegar, and in my experience, they are a fruity drink with spice flavoring and a little hint of vinegar. The concoction is concentrated and very flavorful. It is used to make many different types of cocktails but in and of itself, it’s just fruit, sugar, and vinegar. My favorite way to enjoy shrubs is with lots of ice and sparkling water. Pour the shrub concentrate into the sparkling water and ice to your liking. In colonial times, shrubs were used as a method to help colonist preserve fruit. As modern refrigeration gained popularity, drinking shrubs fell out of style until recently! 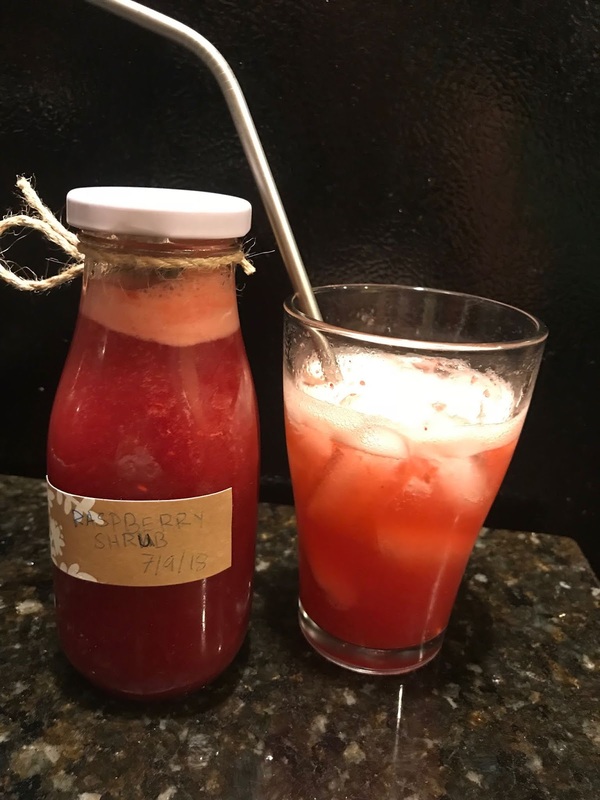 My co-gardener Alessandra made raspberry shrub with our berries.